Mel and I were in Wellington, FL today working at 3 horse farms. Two things came up for our discussion today. The first was a 20 year old horse who lost a front tooth. Actually, it was decayed and only the exposed part disintegrated. This horse will be OK missing part of his front tooth. Close up of 20 year old – missing front tooth. Decay in the incisors is rare. I had one horse where I poked a hole in the dark spot on the front of an incisor and puss escaped under pressure for a full second and about two feet out. 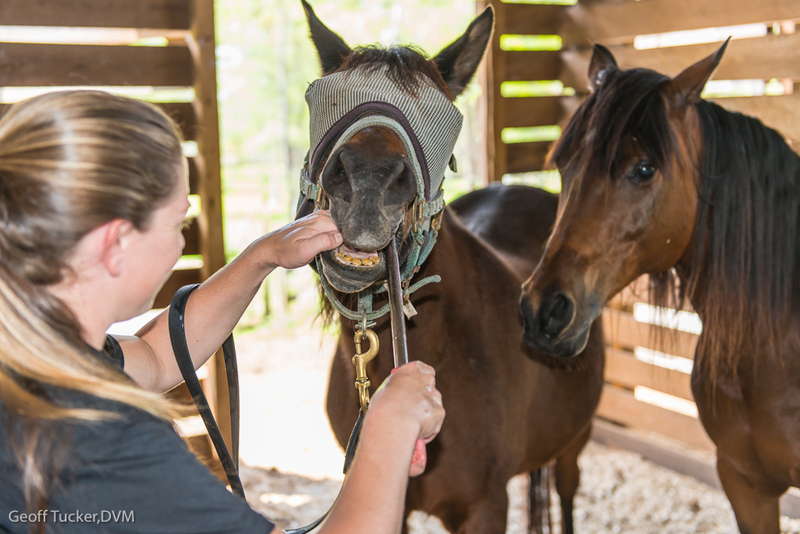 As disgusting as it sounds, horse’s teeth are put together differently than human teeth. 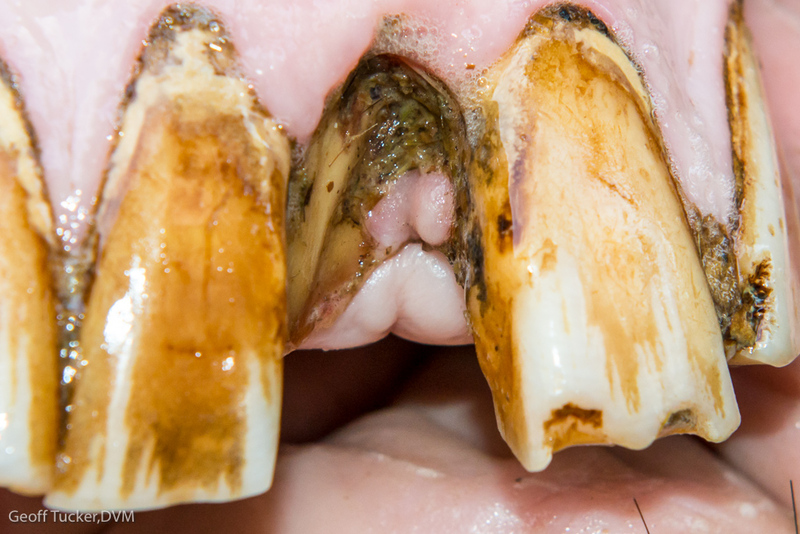 When an infection forms an abscess in a horse tooth, the horse usually shows no pain even when it disintegrates the tooth. They can actually heal their teeth which helps to preserve them. Don’t you wish you had horse teeth now! Melissa floats an old horse while her buddy, already floated by Melissa, watches with words of encouragement. “Dr Tucker – I came out to the barn because I knew you were here – the horses were having their teeth floated and it is the only peaceful place on my property! How about that! Even I am starting to relax.” Thanks Joy for this descriptive testimonial of how things usually go using The Tucker Technique Of Equine Dentistry™.